MCAN undertook a “Listening Campaign” to identify maternity care priorities and strengthen relationships. Besides "relational" meetings with key stakeholders, we carried out an online survey, engaged in a number of informal interviews, and received written submissions. 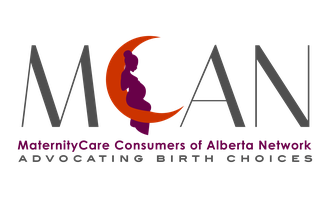 Insights from the Listening Campaign are leading to MCAN developing initiatives, campaigns and programs to advance maternity care in Alberta. Consumers, physicians, midwives, nurses, childbirth educators, doulas, academics and others took part in this endeavour and we are so grateful for all those who brought their voices into this conversation. The events were facilitated by Dr. Laura (Lolly) de Jonge, founder of Birthing Magazine. In this video, Peter Senge PhD, speaks about Systems Thinking and how real change is brought about. We used this video as a discussion piece during the focus group gatherings.